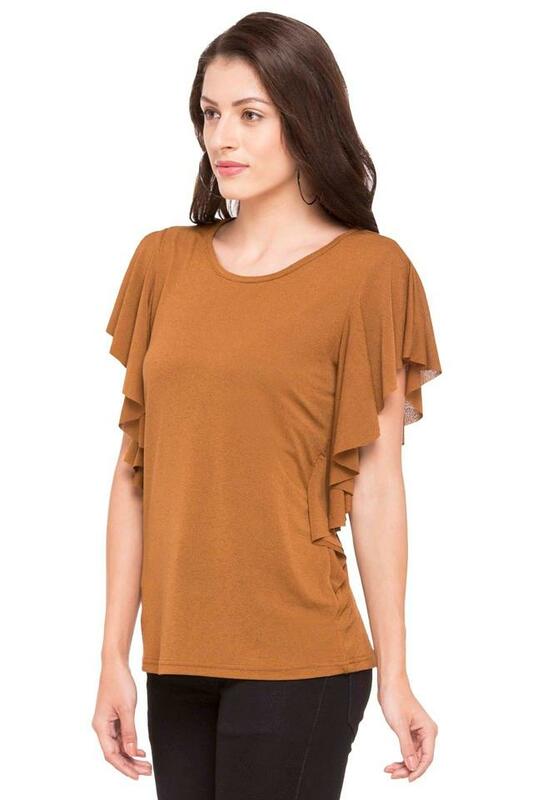 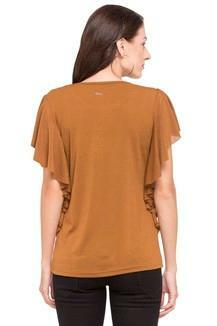 Give your casual wardrobe a stylish lift with this top from Flaunt. Fashioned using good quality fabric, this top will not fail to catch your fancy at a single glance. 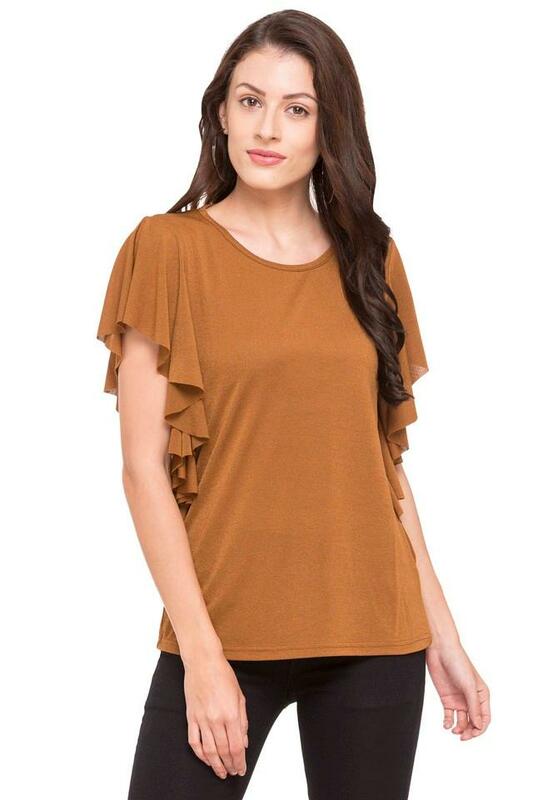 Featuring a round neck, flared sleeves and solid pattern, this top holds an elegant appeal.